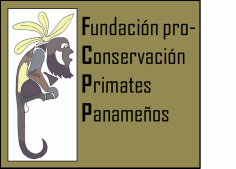 From 2010 until our days, the project based their goals in obtaining updated information on the Chiriqui marmoset monkeys, and combines their observation techniques to search for this species with conservation activities. Some of these are to be lectures on environmental education, monitoring by our staff and volunteers by citizens, and static and active monitoring by means of camera trap in the canopy (OCS), and direct track tours by vehicle and foot. Some activities have been given in conjunction with reforesting Central America of Chiriqui, as is the reforestation with native species in areas with fragmentation.